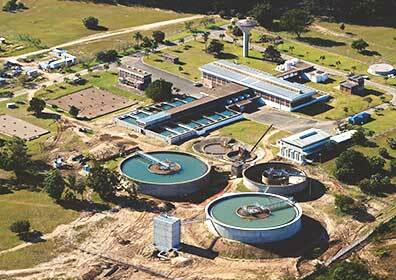 The Water Distribution Systems Research Group is led by Professor Kobus van Zyl and currently has 13 postgraduate students and an administrative assistant. Research activities include field work, experimental work in our hydraulic laboratory, numerical (CFD and FEM) modelling, hydraulic network modelling (EPANET) and theoretical work. The group is actively collaborating with specialist in other areas, currently including Prof Chris Clayton, University of Southampton, UK (soil – leak interaction), Drs Olivier Piller and Yves Legat, IRSTEA, Bordeaux, France (hydraulic and stochastic modelling), Prof Daya Reddy, UCT (numerical modelling), Dr Richard Collins, University of Sheffield, UK (leakage and intrusion hydraulics), Dr Tom Walski, Bentley Systems, USA (stochastic modelling), Mr Allan Lambert, UK (pressure and leakage) and Mr Mark Shepherd, JOAT (pressure management field studies). 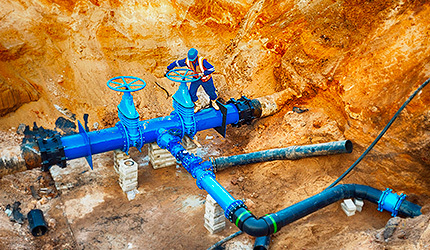 The main current aim of the group’s work is to better understand the mechanisms responsible for leakage in water distribution pipes and the behaviour of existing leaks with changes in system pressure, as well as the implications of these mechanisms for hydraulic modelling and leakage management. Other research areas include hydraulic modelling techniques, water demand management, smart water metering and the reliability of bulk supply systems. The group offers various opportunities for master’s and PhD studies. These degrees are research-based, although students are expected to do a number of post-graduate courses relevant to their research topics. Funding may available for meritorious students in certain study areas.